Jeff is co-owner and lead producer at JBO Music Productions. His expertise spans a wide range of musical genres, from rock to pop, country to classical. Jeff is a trained vocalist and keyboardist, holding a bachelor's degree in voice performance. As a performer in the 90s, Jeff cut his teeth as an opera singer, but his true passion is producing. He has a keen ear and understands that an artist MUST have a say when it comes to producing their song! So Jeff works hard to communicate with the songwriter/artist to make sure he knows (and GETS!) the sound they want. His proudest accomplishment is the hundreds of satisfied clients who have come back to him again and again for their production needs! Ryan Casey is a Nashville based session/touring guitarist. A graduate from Belmont University’s School of Music, Ryan has made an impact in the Nashville scene touring and recording with artists such as Paulina Jayne, Beth White, and Tiffany Woys. With over a decade of recording and live performance experience, Ryan has cultivated his sound into an eclectic blend of Blues, Rock, Jazz, County, Gospel, and Funk. In the spring of 2018, Ryan partnered with JBO productions as an in-house guitar player for demo and live sessions. With dozens of sessions and hundreds of recording hours under his belt, Ryan continues to be the model guitar player for any producer looking to take their product to the next level. Brandon is an engineer at JBO Music and has an amazing ear for mixing and mastering your songs! He is also an accomplished guitar player. Through years of experience and countless hours of critical listening, his ears have become tuned to the tiniest of details and nuances in music. When you're looking for someone to master your music, you need someone who will understand you and your vision, and achieve the goals you had in mind... and Brandon fits that bill to a tee! His goal is simple... he will do his best to make sure you feel comfortable with the entire project, and proud of the final outcome! Lainy is a singer-songwriter based in Nashville, TN with a great amount of experience in the studio as a session singer (lead, harmonies, and BGV's). She has the ability to vocally match most genres/artists and a great ear for harmonies and a flexible tone. Lainy has being doing music professionally for 5+ years in Nashville. She has experience in pop, rock, r&b, country, etc. She's available for toplining, lead vocals, bgv's, and harmonies. 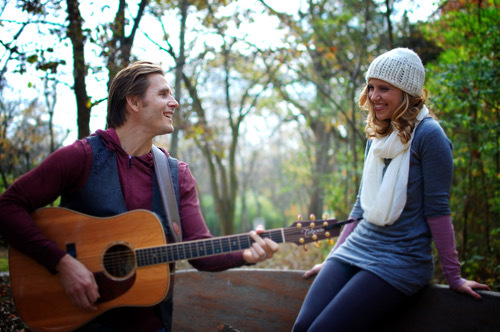 Jason and Misty Carson are a husband and wife team who are amazing vocalists, each in their own right! They are available as soloists, or as a duo. Jason began his music and performance career at a young age entertaining on a national stage as a Mouseketeer on the New Mickey Mouse Club. He then went on to become a front member of the country band, Shiloh. He has also enjoyed success as a songwriter with his #1 song "Rain" in the Australian market. Misty Rae Carson, a Texas Native, got an early start in country music as an opener for Grand Old Opry Legends Ray Price, Bill Anderson, and Don Williams. Since then, she has released an independent single "Woke Up One Day" which was added to over 100 radio stations nationwide in 2014 and the fan-funded music video was seen on multiple national TV outlets. Drumming in an arena, or live to millions of viewers on television is a rush, but to Jared, he is most at home drumming in the recording studio. Having gotten his first taste when he was a teenager, and then drumming on sessions in college, Jared was ready to cut his teeth professionally recording countless southern gospel tracks. It wasn’t long before Denver & the Mile High Orchestra called for him to drum on their breakout record “Stand”, and the rest is history. A sought after recording session drummer, Jared brings his drumming and musical passion to tape. JBO Music is proud to partner with The Facility Nashville for all your in-person recording needs! Located just 15 minutes from Historic Music Row, The Facility Nashville offers recording solutions to fit all needs and budgets. We cater to Songwriters, Artists, Bands, Publishers, Producers, Engineers and any other creative type looking to record.